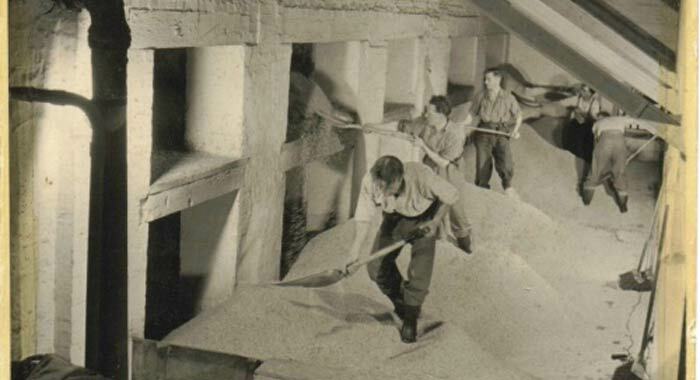 Malt has been made forever, by hand, on floors, a perfectly natural, albeit labour intensive method. 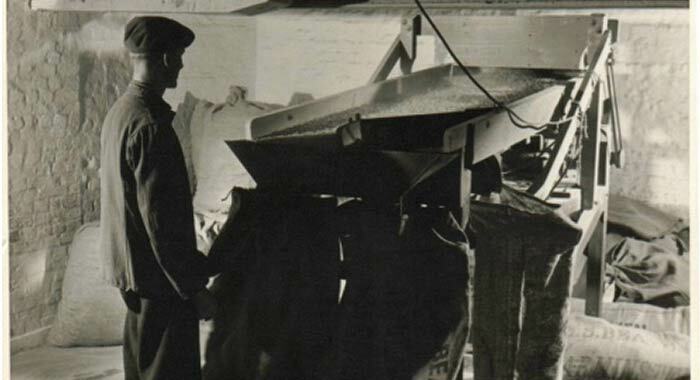 But by the mid 20th century, advanced technology brought about the industrialisation of both malting as well as brewing. 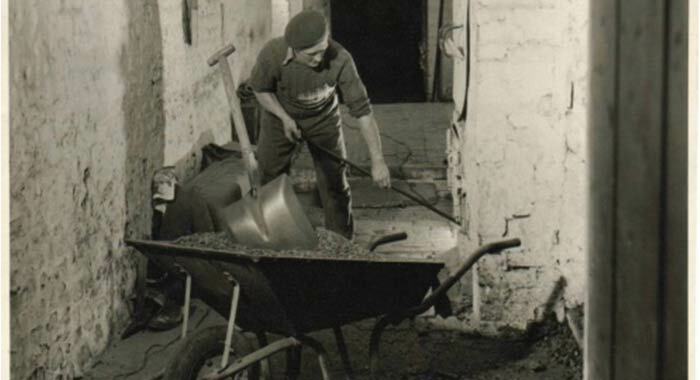 But in 1971, with the advent of CAMRA, then, in 2002, with the introduction of Progressive Beer Duty, the market opened up to small independent brewers. 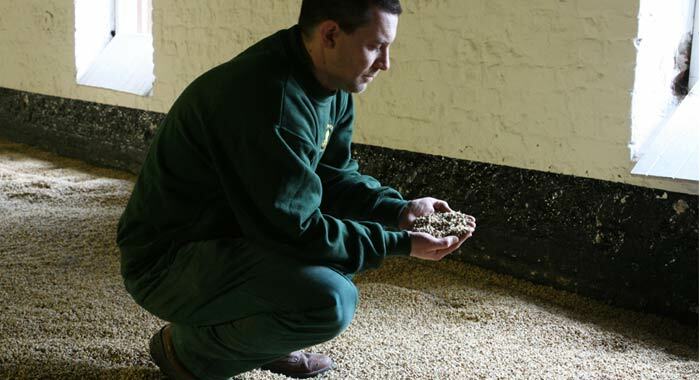 The ensuing demand for ‘Real Ale’ has brought about a renaissance in brewing. 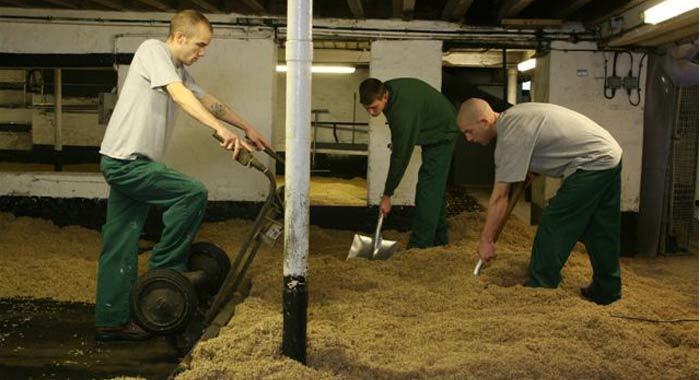 With this, understandably, a demand for ‘Real Malt’(traditional malt) has followed. 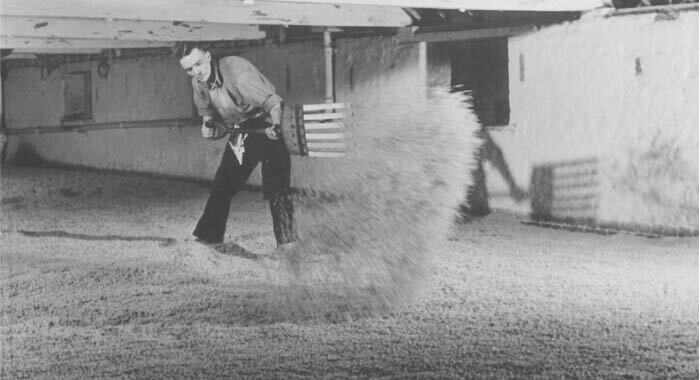 Steeping in open water vessels over 72 hours to raise the moisture level in the grain to well above 32% at which germination is precipitated. 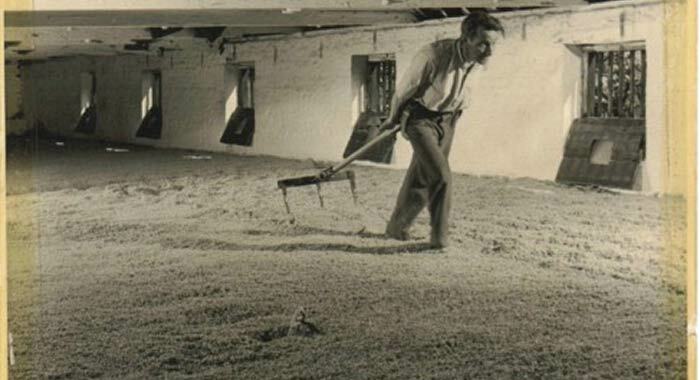 Controlled germination, on floors, for approximately 5 days when the modification of the ‘green malt’ from starch to maltose is managed courtesy of hand operated tools. 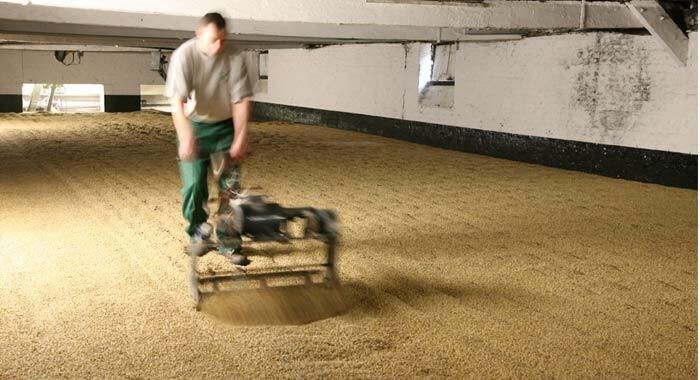 Rapid transfer of the ‘green malt’ to the kiln to be dried and cured down to a long term storage moisture of just 4%. 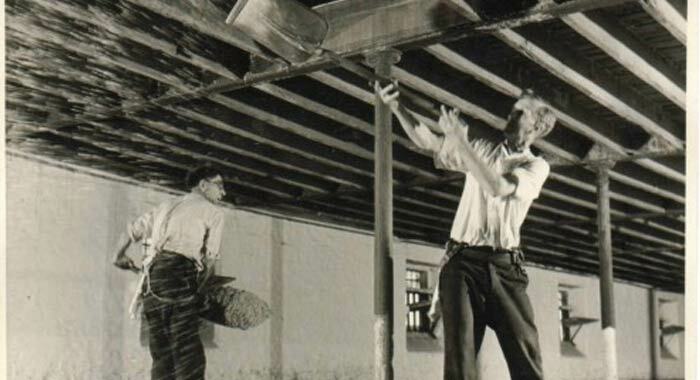 At Warminster Maltings the whole process is conducted within the ambient temperatures of the malt floors, regulated by the opening and closing of the non-glazed windows spaced all along their length. 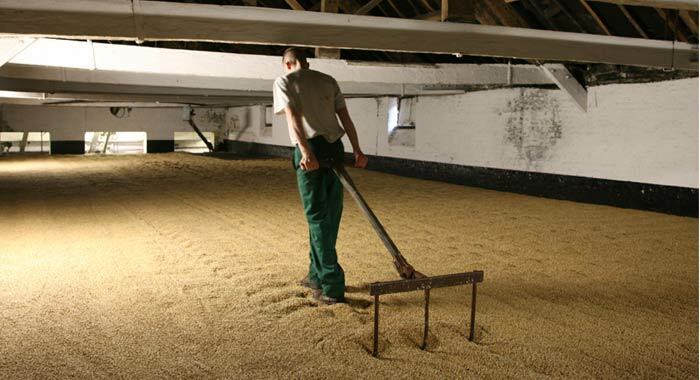 It is a very natural process which allows the individual batches of barley to express themselves to the optimum. 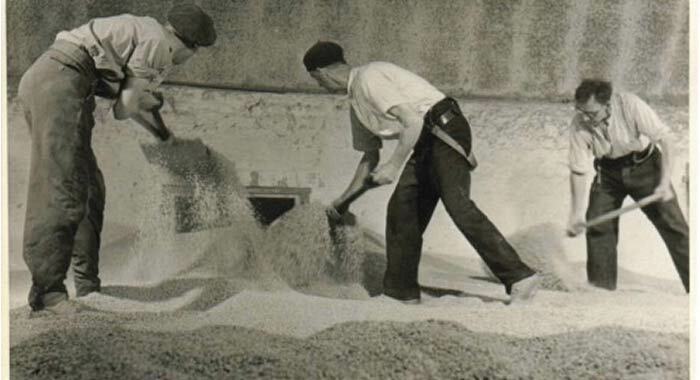 This emphasises the character of the malt, and creates the maximum extracts for the brewer.